BUILD YOUR DREAM HOME! THERE'S NOTHING QUITE LIKE A NEW HOME NESTLED ON ACREAGE. 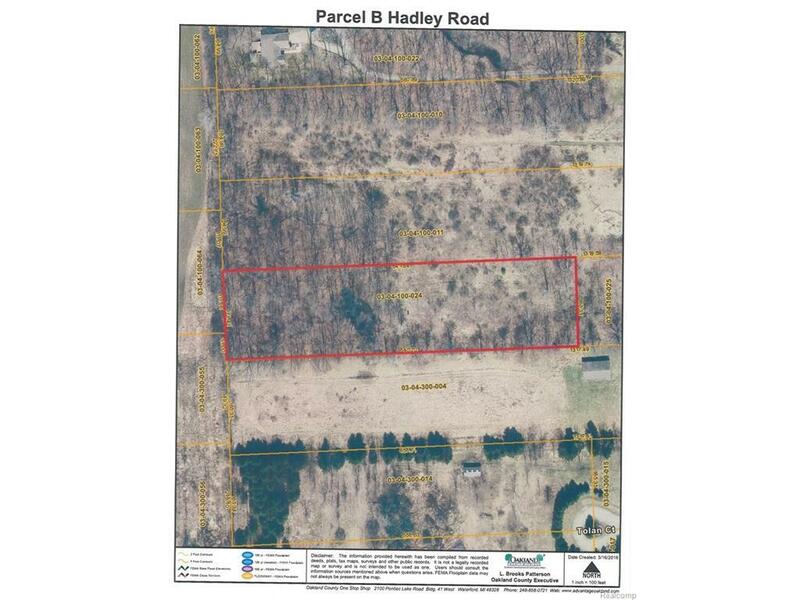 BEAUTIFUL AND PRIVATE LOCATION OFFERING 2.5 ACRES IN BRANDON TOWNSHIP. EASY ACCESS TO I-75 AND CLARKSTON AREA. ENJOY COUNTRY LIVING WITHOUT THE DRIVE!